Obesity or Overweight is the most frustrating problem of the mankind and the main reason for weight gain is either lack of time to exercise or sedentary lifestyle. If you want to know it in the scientific language, a person needs to eat required calories in order to perform his/her daily activities. So, anything beyond the required limit will lead to overweight and if the limit is not reached, it leads to weight loss. Saying so, it is not advised to limit your calorie intake beneath the recommended level, which may cause severe side effects. According to the National Heart, Lung & Blood Institute, if your BMI aka Body Mass Index falls between 18.5 and 24.9, then you’re having a healthy weight. Anything less than 18.5 is said to be underweight and above 25 is classified as Obese or overweight. It is very easy to calculate your BMI. Simply, use this BMI calculator and find whether you’re having a healthy BMI or not. As we said above, weight loss or weight gain is simply a mathematical calculation. If you wanted to lose weight, then you’ll need to reduce your calorie intake and at the same time increase your calorie burn through exercise. On an average, Men need 2,400 calories per day and Women need about 1800 calories to perform their daily activities. So, if you create a deficit of 500 to 1000 calories daily through a combination of proper diet and exercise regime, then you can easily lose up to 1 to 2 pounds per week. P.S: 1 pound = 3500 calories; So, if you wanted to lose 2 pounds per week, you’ll need to cut-down 1000 calories daily for 7 days. How Many Calories Do You Need to Maintain Weight? Like we said above, Women need 1800 calories and Men need 2400 calories on average daily to maintain healthy body weight. So, in order to maintain your current weight, you can either maintain a steady calorie intake (recommended) or spend the additional calories that you consume through exercise. Saying so, if you consume just 1800 cal (women) or 2400 calories (men) per day, then you’re less likely to lose or gain weight. Just reverse the weight loss formula and you’ll gain weight easily. Know your maintenance calories for your height & weight and consume more than 2400 calories per day to gain extra weight. However, make sure you don’t munch on fast foods to increase the calories, as they’ll spoil your health in the long-run. Instead, try to have highly nutrient-extra calorie foods like nuts, seeds, vegetable oils etc… You may also try the resistance training workouts to your diet routine in order to gain lean muscle, rather than just body fat. How Many Calories Do I Need for Weight Loss, Maintenance and Weight Gain? 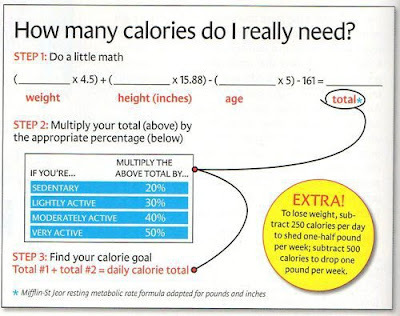 The calorie requirements differ for each individual based on their age and activity levels. According to Harvard Medical School, a sedentary person would require about 13 calories per pound of his/her body weight and those who’re active would need about 16 calories per pound daily. For example, a 180 pound person who is active in his day to day activities needs about 2,880 calories every day to maintain his weight. The same person requires 500 to 1000 calories less if he wants to lose weight and 500 to 1000 calories more if he wanted to gain weight. That’s the simple math behind the diet composition! Regardless of what your goal is, you should always make sure to include healthy, high-protein foods like eggs, seafood, lean meat, poultry, low-fat dairy, and fiber-rich foods in your diet to lead a healthy lifestyle. Next Post:How Much Protein Should You Eat in a Day to Lose Weight?